These classes are especially convenient in terms of cost-benefit ratio. They enable students to reach a solid grasp of the language in a short time. You learn to use the Italian language; to speak and understand, as well as to read and write. The first part of the lesson is devoted to the structure, the use of grammar, and vocabulary. 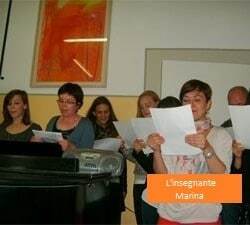 The second part of the lesson is dedicated to Italian language expression and communication. This second part of the lesson is most effective when done in Italy where the total immersion creates the necessity to understand and to be understood in Italian. Learning just grammar and vocabulary can be done without ever coming to Italy. Lessons are held in the morning from 9:00 to 12:40, or from 11:20 to 15:00, or in the afternoon from 13:00 to 16:40, all with 20-minute coffee breaks. For example, lower level classes are in the morning whereas intermediate and higher level classes are in the second part of the morning. The advanced and special courses are held in the afternoon. After classes there is a programme of extra-curricular activities (visits, meetings, entertainment). 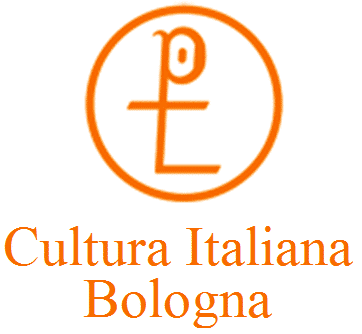 There are visits, walks, meetings, aperitivos and events all around the city enabling students to meet and chat with Italian people outside of school. A four-week course corresponds to one level; each level consists of two teaching units. One teaching unit is a work project for 2 weeks. Each level is divided into 2 teaching units. A non-European language speaker has a different learning pace and in general will require twice the amount of time to reach the same competency levels. The average learning rate of for a European language speaker is 12 weeks to reach the B1 level, and a further 12 weeks to reach the C1 level. This progression generally depends on the student, their natural ability, and their intensity and frequency of contact and exposure they have to the Italian language. 1 person: the lesson will last one and a quarter lesson-hours. (Every lesson-hour consists of 50 minutes). Small groups usually do more intensive work in class and at home: in this way the same or better results are guaranteed. Students will certainly reach the same level of bigger groups. Classes are held by professional teachers with solid experience in teaching Italian as a second language. Particular care will be given to the usage of the language, its expression, good comprehension and to the ability of using the language in daily situations. The courses are challenging because using Italian is difficult, but every day students learn new forms in a lively and relaxed environment. The classes are dynamic; if the class becomes too difficult or the pace is too slow for students, they can choose a different class from among different levels. Every day the school requires students to spend about two hours of their time after the lesson. The two hours of practice can be at home or in school as preferred, for students to revisit and organise the lesson topics by themselves. By doing this, students can organise a "language treasure box" giving them security when they have to express themselves and communicate.